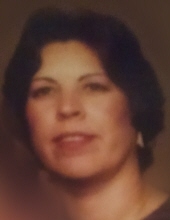 Anna Pippin age 73 of Hammond, IN passed away January 26, 2019. She is survived by her loving children: Eugene (Wanda) Hurt, Star (Peter) Stamiris. Brother: Ronnie (Saundra)Miner. Sisters: Alta Sottile and Goldie (Ronnie) Miller. Sister in laws: Doshia Miner, Thelma Miner and Patricia Miner. All sibling reside in Missouri. 5 Grandchildren: Charee Wilson, Christopher Hawkins, Jennifer Hurt, Chelsea Buchanan and Nikolas Stamiris. 4 Great Grandchildren: Levi, Jaiden, Lestat and Isaiah. Along will a multitude of cousins, nieces and nephews. She was preceded in death by her Parents: Plumas and Gladys Miner. Loving husband: Eugene Pippin. Sisters: Judy Sellers. Doris Barton, Bertha Radford, Margaret Blackwell, Norma Faye Miner and Edna Bernice Miner. Brothers: Plumas (Sonny) Miner, Mackie (Joe) Miner, Vernon Miner and Lucky Bill Miner. Anna was a very hard worker all of her life and took a lot of pride in her work. She had a heart of gold and a great sense of humor. She loved to help people and make everyone happy. We all have wonderful memories of her that we will forever cherish. Her pain is gone and she's finally at peace. To send flowers or a remembrance gift to the family of Anna Jannet Pippin, please visit our Tribute Store. "Email Address" would like to share the life celebration of Anna Jannet Pippin. Click on the "link" to go to share a favorite memory or leave a condolence message for the family.